SNAPstop is a motion stop for Ankle Foot Orthosis. 2. Place the Molding Blank with the Narrow Side against the model, with the bottom edge at ankle joint center. Secure the Molding Blank with the brad nail (included) directly onto the stocking in the position described above (A). 3. Place the small nail into the Drill Hole and tap it into the plaster model. This prevents the Molding Blank from tipping during the vacuum forming process. 4. Vacuum form your plastic directly over the molding Blank. Be sure plastic is fully heated to achieve maximum conformability. Do Not place the Molding Blank inside of your stocking. 5. Once the plastic has cooled remove the AFO from the model. Your Molding Blank will be encased in the plastic. Remove the brad nail by pulling it through the molding blank with a pliers. 6. Viewing the inside of your AFO, identify the Drill Hole on the Molding Blank. Using a 1/16” (#48) drill bit, pilot a hole from the inside of the AFO through to the outside of the AFO. This hole is then used to establish your cut line (B). 7. With a marking pencil, draw a horizontal line directly over the hole on the outer surface of your AFO, extending medially and laterally through the ankle joint center. This is your cut line (C). 8. Take care to cut accurately on the established line, cutting through the Molding Blank. 9. 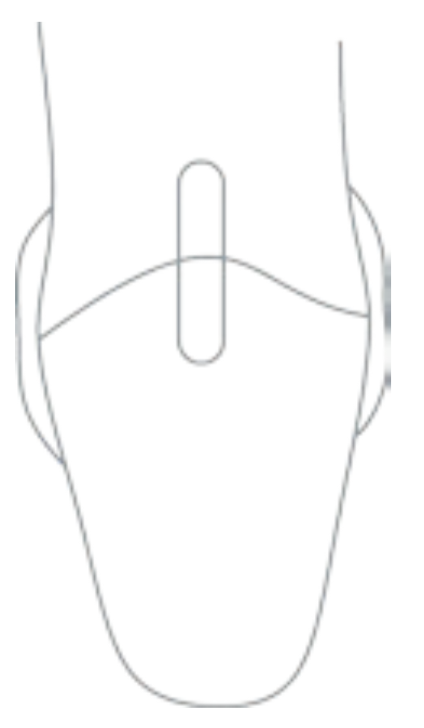 Viewing, inside your AFO, locate the Grid Line, a small horizontal line located above your cut margin. With a marking pencil, drawing a horizontal line on either side of the Grid Line. This will increase your visibility and accuracy when grinding (D). 10. Using a small Trautman sanding cone grind up to the Grid Line leaving all edges square. Do not grind past the Grid Line (E). 11. Locate the Screwdriver Slot just above the Grind Line. 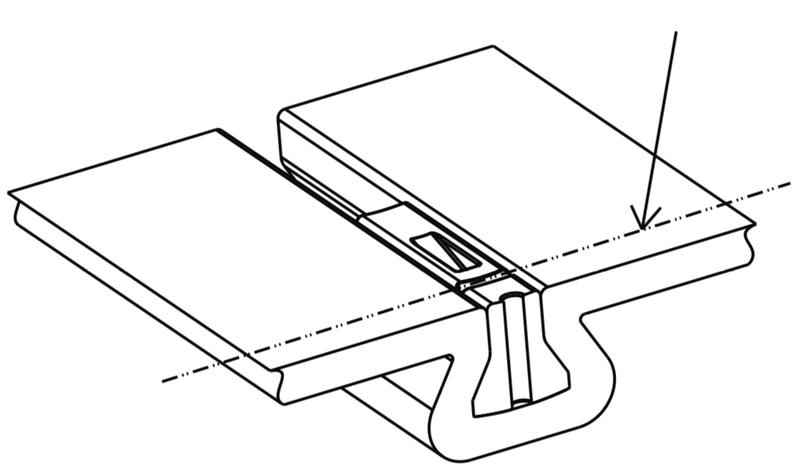 Place a flat head screwdriver into the Screwdriver Slot and apply pressure removing the Molding Blank (F). 12. The remaining portion of the Molding Blank remains in the foot section of your AFO. This becomes the impact surface for your Motion Stop. Do not remove unless you are replacing it with a Motion Stop (G). 13. Locate the Motions Stop. Position the Motion Stop so the concavity faces in toward the leg. Insert the shaft into the channel until you feel and hear a snap. Hence the name SNAPstop (H).